What is Commissioning Week you ask? 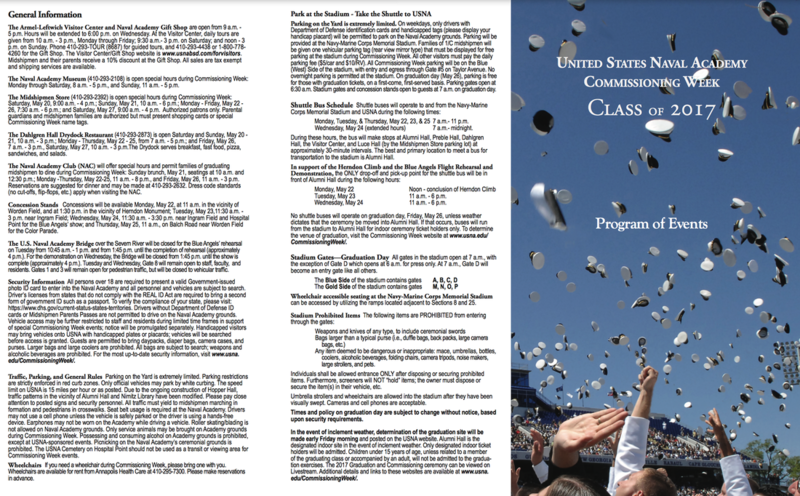 Commissioning Week honors the First Class Midshipmen upon completion of four years at Naval Academy. 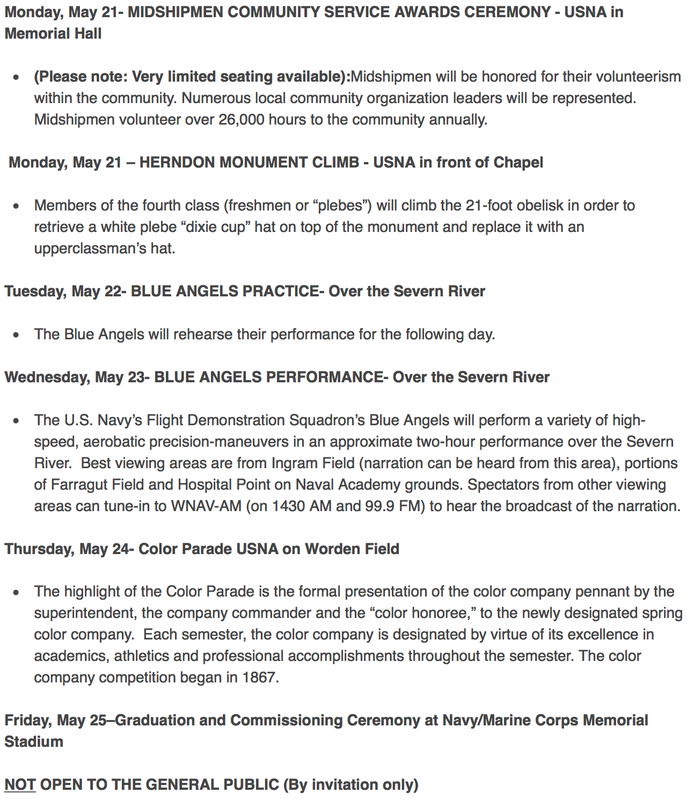 Parents, family members and guests are invited to attend a series of events at the Naval Academy in honor of the graduates including the Blue Angels Flight Demonstration, Color Parade, special awards ceremonies, and musical performances. Downtown Annapolis becomes very crowded with parents and family coming in to see Commencement. The Blue Angels fly into town shutting down roadways and bridges while they practice, and then while they perform. The Blue Angels show draws crowds so big that parking fills up at the Naval Academy Stadium, and the people are bussed to the Naval Academy to watch. But with careful planning, you too can enjoy the festivities. Check out the full schedule below. The Naval Academy has a great information page you can check out too!